Instead of £764.00. You save £38.20 due to the online discount . 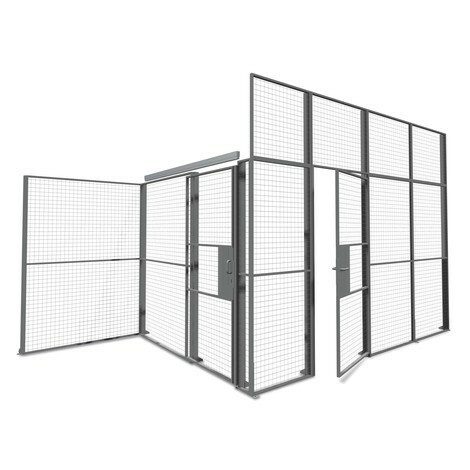 Partitioning systems allow you to divide warehouse and production facilities into custom subareas for enhanced working safety. TROAX® sliding doors with locking systems provide additional break-in protection for these subareas. 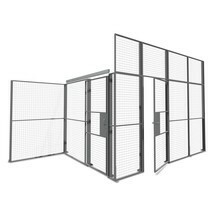 TROAX® sliding doors with locking systems are quickly and easily attached to your partitioning system. 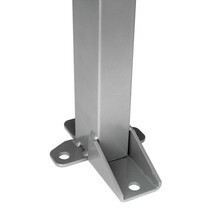 You simply bolt the door to your existing wall elements. You can choose between different door widths to suit your current wall elements. The sliding door can be easily opened from one side. 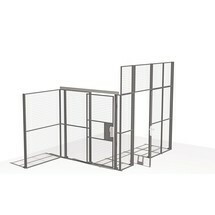 The mesh size of the hinged door is 50 x 50 mm. The partition door is powder-coated for durability and can thus easily withstand the rigours of daily use in warehouse and production environments. 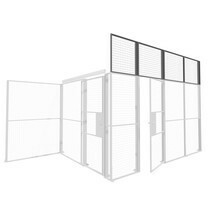 Optimise the protection of your storage and production areas by ordering TROAX® sliding doors with locking systems and one-sided opening from our shop.